Invisalign is an alternative to metal braces used as an effective method to straighten for both minor and complex tooth movement. Invisalign are customized clear aligners with a series of very thin aligners used in sequence at periodic intervals to consistently move the misaligned teeth to the desired position. The invisalign aligners can be worn day and night and is suitable for treatment for a wide variety of orthodontic problems. At Ivory dental clinic, we use invisalign 3-D computer imaging technology to customize the treatment plan as per the client requirement and demonstrate specific tooth movements expected during the treatment period with accurate prediction of the expected treatment result. How much does invisalign cost?The dentist provides each set of clear aligners that has to be worn for about two weeks. They have to be worn fulltime except removing them while eating, drinking, brushing and flossing. Each aligners are replaced in series as the teeth moves week by week until they have straightened to the desired position is achieved. The patient is required to visit the dental clinic every six weeks to ensure the progress in the treatment plan. The total treatment period averages between 9 to 16 month with around and 18 to 30 aligners. Invisalign costs same as the traditional wire braces and depending on the level of treatment needed. At Ivory dental clinic, the patient can choose the invisalign over the metal braces with an added advantage of comfortable, removable, invisible orthodontic solution for a reasonable price. How are the aligners prepared? The aligners are crafted through a combination of our dentist's proficiency and 3-D computer imaging technology to provide an effective method to straighten the teeth while remaining virtually invisible. The invisible, comfortable and customized aligners will gradually shift the misaligned teeth into their correct position. The dentist evaluates the oral health condition and customizes a treatment plan. Initially, an x-rays and impressions are obtained to create a customized treatment plan to reposition the teeth and how they will align with the treatment plan. As per the measurement clear aligners are created and customized to the teeth. The patients have to wear the invisible braces every day, taking them out while eating, brushing and flossing. The aligners are switched in every two weeks to provide desired results. 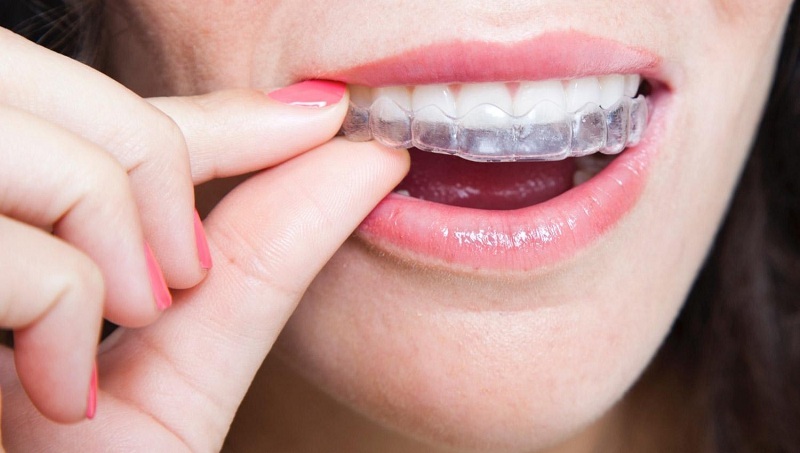 For faster results, patients are advised to wear the aligners 20-22 hours a day to have a confident new smile after completing the treatment period. At Ivory dental clinic we have extensive understanding and experience in crafting and using Invisalign. We offer services for smile designing process with invisible invisalign and ensure that the patients are equally satisfied and astonished at the treatment options that are available from our centre. To know more about smile designing with invisalign and treatment cost, book an appointment now. He is very caring and polite. He carefully listens to all the details you have to say. The treatment was smooth and painless. After dental treatment he suggested few healthy dental habits. Overall a very pleasant experience. Thanks.